When is a statement not a statement? When it’s about 45 minutes long and still delivered at the gallop. 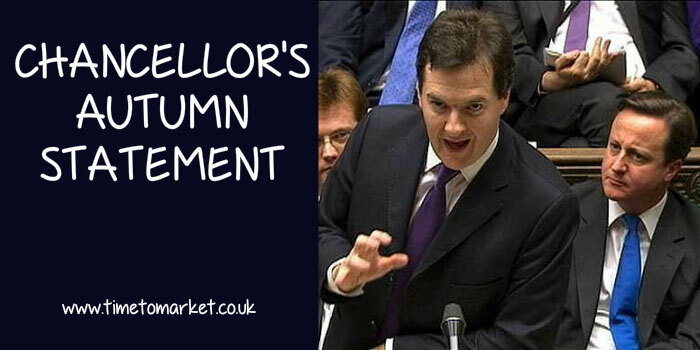 The Chancellor’s Autumn Statement today was a political speech in all but name. A well-crafted political speech readying the ground for the Spring election in May next year. But, should anyone have expected an economic statement? Probably not. That’s because statements by this Chancellor and his predecessors are no stranger to politics. Autumn Statement or not, the Chancellor had a spring in his step as he rattled his way through his speech today in the Commons. Yes, he sometimes struggled to make himself heard over a barrage of heckles and jeers from the opposition and support from his own benches. But he managed it. Even if he was a bit hoarse at the end. 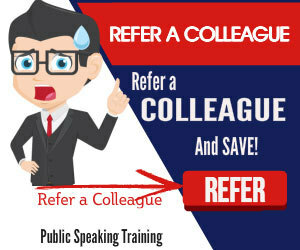 It’s quite an art, but you too can discover more tips on how to deal with hecklers. We’ve noted the Chancellor’s love of short sentences without verbs. He managed to curtail much of that tendency today with some well-prepared material. Repetition, contrasts, rhetorical questions and position takers were prolific throughout. The compositional effect of many more people finding work, particularly young people, is weighing down on overall average earnings. What he meant was that as older better-paid workers retire, their jobs are taken by younger, lower-paid workers. Said simply it doesn’t sound so palatable, does it! But, in the main we understood. Good. His use of “generation” was less good. He over-uses it. A few years ago it was novel and sounded good. Now its use is hackneyed and close to being a cliché. Out of the red and into the black for the first time in a generation – a country that inspires confidence around the world because it seeks to live within its means. This week we’ve set out plans for the biggest road building programme for a generation. For one of the great challenges of this country is to create a more balanced national economy – a challenge that has eluded governments for generations. Good grief. You might query the veracity of the words…and you’d have a point. But the “generation” phrase has become over-used and tiresome in political speeches. But we set a course to restore stability, get on top of our debts and show Britain was not going to be counted out. Through the storm we have stayed the course. Now Britain is on course for surplus. On course for lower taxes. On course for more jobs. On course for higher growth. On course for a truly national recovery. A long term economic plan, on course to prosperity. We’ve grown used to metaphorical storm-tossed seas since 2008. Because it seems that no George Osborne speech, either a conference speech or an Osborne Mansion House speech is complete without them. No doubt the Chancellor will have more opportunities for these stormy metaphors in the months and years to come. The Chancellor’s Autumn Statement, politics apart, was close to being a tour de force for Mr Osborne. His ease at the despatch box was nowhere more evident than when he poked fun at Mr Miliband (Wallace and Gromit reference) and Emily Thornberry (flags and sneer references). Such jousting is always easy when you appear to be winning. However, this was a well-written and well-delivered speech from the Chancellor. 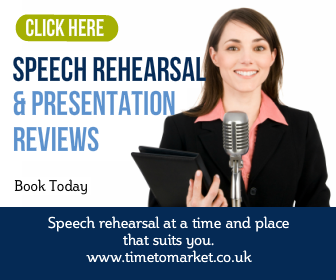 You can always find out more about how to prepare good speeches with a public speaking course from Time to Market. So, when the time is right, please don’t hesitate to get in touch. It is helpful that this strengthening’ of IR35 that the Government announced in the Chancellor’s Autumn Statement is simply a tidying up of rather a major change to the existing legislation. The changes to the administration and enforcement of IR35 decided upon by HMRC following the work done by the IR35 Forum which Brookson was involved in via its FCSA membership will continue in their test and learn’ phase. It is right, in our view, that these changes be allowed to bed in without further significant legislation change. Let’s see what the feedback is on this new approach in the New Year. Thank goodness we haven’t got significant changes to get our heads around at the same time.